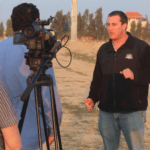 The Southern accent might fool you into thinking Herby Dan is a newcomer to Israel. Nothing could be further from the truth. Herby’s Bakeshop has been cranking up its ovens at 5 a.m. in the Samaria community of Beit El for 30 years. So, how did this Memphis boy find his way “Home” to the community of 6500 in the hills, north of Jerusalem? Herby was studying law at the University of Tennessee in Knoxville, while as a Shabbat guest he tasted the best challah bread of his life. Attaining the family recipe of his hostess, Herby tried his hand at baking his own. Herby began selling his homemade challah and caraway seed bread at St. Jude’s Children’s Hospital, where his brother worked. Half the staff were Herby’s satisfied customers. Herby diligently completed his law studies while continuing to bake. 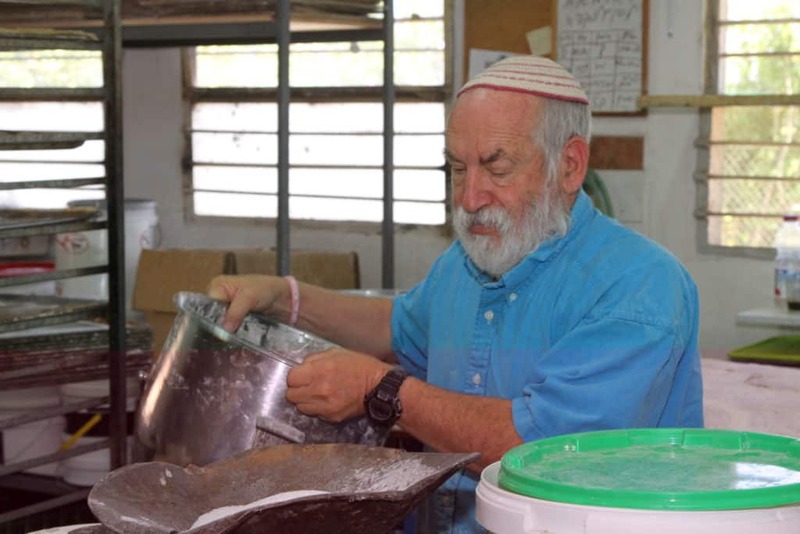 Herby Dan in his bakery in Beit El. Once a lawyer, he was burning his candle at two ends, working at his bakery in the early morning hours, then brushing off the flour, putting on his suit and heading for court. Herby spent a year learning the ropes of the bakery business in New York while looking for a wife. He married a fellow Southerner, Debbie Klaff, and the young couple moved back to Herby’s hometown of Memphis. Things were going very well for the couple as Herby’s bakery and their family grew, but their heart was somewhere else. In 1986, their dream of making Aliyah to Israel became a reality. Through the help of a friend, they found a home in the community of Beit El, the location where Jacob dreamed of a ladder reaching the heavens and received the promise of God’s protection (Genesis 28:12-17). The street names in their neighborhood, Wheat, Barley, Grapevine, Fig, Pomegranate, Olive, and Date reflect the daily blessings the residents feel bestowed from above, fulfilling the prophecy of the Holy Land flowering as its people return. However, their homes are threatened daily, either from Arab terrorists infiltrating their community or from politicians, including President Trump’s cabinet pushing for a two state solution, putting a halt to the natural growth promised in the prophecies. The large community of Beit El, in the hills of Samaria. In 1989, in the midst of the first Intifada, Herby’s Bakeshop was open for business. Herby dazzled his customers with his special honey challah, plus everyone’s favorites: brownies, chocolate chip cookies and oatmeal raisin cookies. Did we mention Herby’s American style doughnuts? 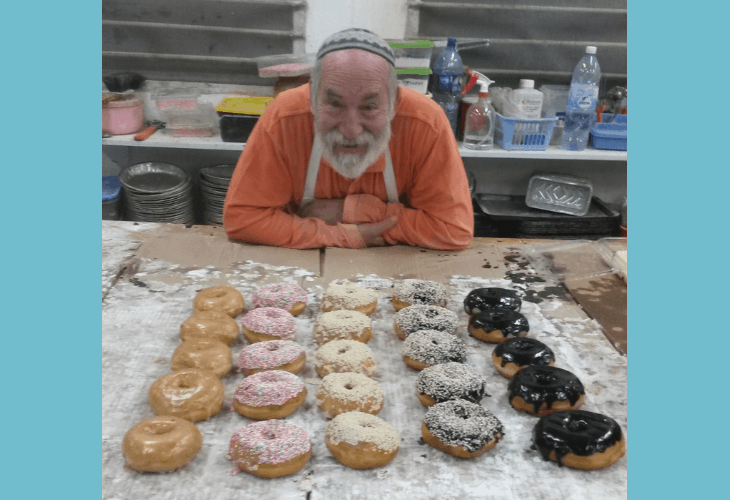 His doughnuts came in second place in a Jerusalem survey and his hamantashen, a special Purim pastry, have won first place more than once. Now making four deliveries a week to cities such as Jerusalem, Beit Shemesh, Modi’in and Hashmona’im, among other places, Herby’s menu has grown. With the recommendation of his son, Meir, Herby’s Bakeshop now offers whole wheat and spelt crackers topped with zaatar and rosemary or sun-dried tomatoes and garlic. Supplying such a varied menu could keep any bakery on its toes, but life in the outlying communities doesn’t always run according to schedule. The 20 minute ride from Beit El to the nation’s capital of Jerusalem doubled during the period of the Oslo accords when world pressure caused the Israeli government at the time to build circumvention roads around areas of “Palestinian unrest”. In other words, peace abiding Jewish settlers were maligned as obstacles to peace. 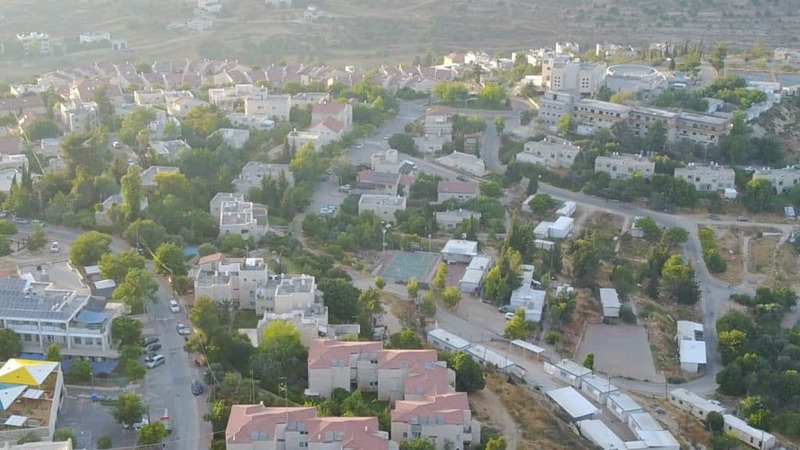 The presence of Jewish Israelis and Jewish immigrants returning to their homeland, rebuilding homes and businesses in their ancient cities was considered incitement against the Arab populations in Samaria and Judea who want the Jewish population of Israel pushed into the sea. The “compromise” was building roads that made it illegal for Jews to go through the dangerous Arab areas. That backfired, because it was considered unfair by the left-wing courts to have roads exclusively for Jewish travelers, even if the original intent was for reasons of safety. Neither the added danger nor the added time and fuel expense deter Herby from supplying his customers. Preparing the pastries in Herby’s Bakeshop in Beit El. 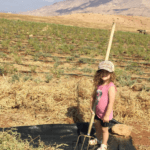 The leadership of Beit El counts on Herby. They rely on him to keep ample supplies that, in case of emergency, could provide bread for the entire community of 6,500 people. The scenario of either a security situation or inclement weather preventing the major bakeries supplying the grocery store is a very real one. Case in point, when snow closed the roads from Jerusalem to Beit El , freezing the water pipes of his bakery, Herby didn’t let that stop him. He gathered snow and melted it in order to keep the bread baking! In the Book of Deuteronomy 28:5 God says, “Blessed shall be your basket and your kneading bowl.” No one is worthier of that blessing than Herby and his family. For years the bakery van, when not transporting supplies and fresh-baked bread and pastries, was available to drive elders of the community to the Golden Age Club initiated by Herby’s wife, Debbie. Both Debbie and Herby’s mothers were brought to join the family and spend their golden years in the Holy Land. 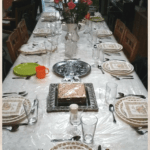 Understanding that learning a new language in their later years was not an easy option for the aged, Debbie arranged for Torah classes, exercise and memory games to be led in English whenever possible. 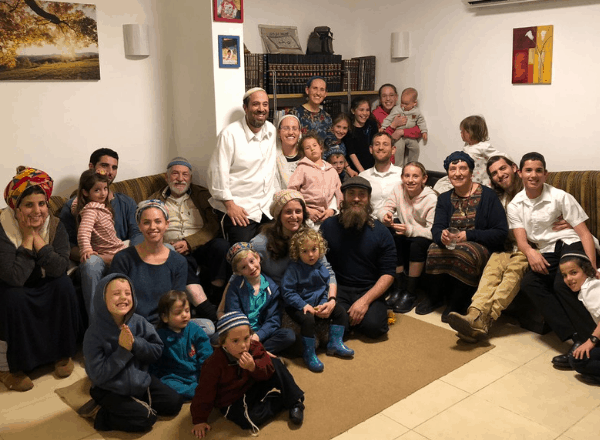 Finding time to support his wife in her work of honoring the elderly is a natural outcome of living in a vibrant community devoted to the ways of the Torah. In Deuteronomy 7:13, the Children of Israel are told, “He will love you, bless you and multiply you…in the land that He swore to your fathers to give you.” Herby and Debbie have been blessed with six children and many grandchildren, still multiplying, with the help of God, and strive to be a blessing for others. Herby Dan with his wife, children and grandchildren. Neighbors recall how Herby was there for their family exactly twenty-four years ago. The new neighbors had not yet received their phone line. 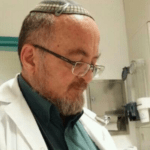 The wife, pregnant with twins, was already admitted into a Jerusalem hospital, trying to delay the birth. With no way to reach her husband to let him know the babies had decided to come early, she called Herby before sunrise, who not only delivered the message, but drove his neighbor on eagle’s wings through the Arab city of Ramallah arriving at the Jerusalem hospital in record time. The family was united for the happy event of the twins’ birth. 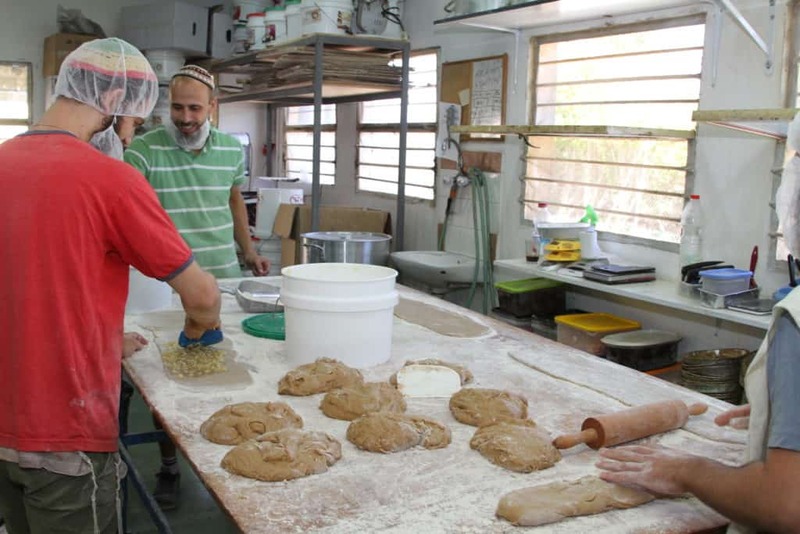 The Heart of Israel supports family businesses like Herby’s Bakeshop that not only provide wonderful products in the land of the Bible, but epitomize the combination of idealistic settlers of the Holy Land and loving neighbors.